Not too much more going on this month either. Here are some pics. One thing I DID notice this month is that I was having A LOT of knots. I knew that I needed to keep my ends protected in some way. 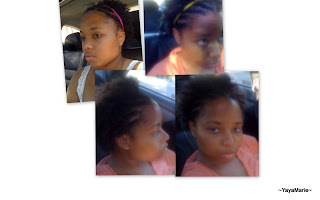 This is the month that I started experimenting different ways to twist my hair.